In case you haven’t noticed, it’s a rather precarious time to be a boss. In Chicago, Baltimore, and San Francisco recently, top cops have resigned or been fired as the result of what some would describe as political pressure. It’s not easy to fire a cop if he or she enjoys civil service protections afforded by membership in a police association. On the other hand, chiefs generally serve at the pleasure of the sitting mayor. And when the heat gets turned up—like it has been in Chicago—you can bet your bottom dollar that it will be a Gary McCarthy being shown the door rather than a Mayor Rahm Emanuel. But shuffling the deck or rearranging the deck chairs just draws attention away from issue that need addressing. At least that’s what Nick Selby thinks about the recent resignation of San Francisco chief Greg Suhr. 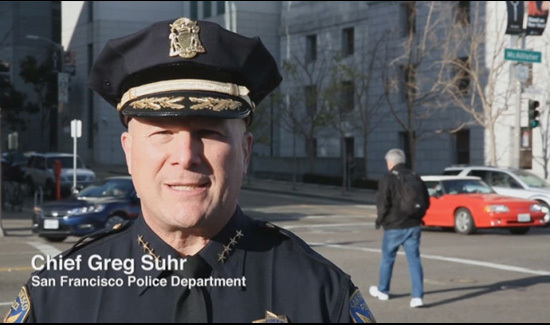 You Ed LEE the Feds yold you take out Chief Shur..The whole city wanted him a CHIEF…Where are the really murders now…still out there with a gun to shoot to kill. I bet a quater ever cop homocide will increas.